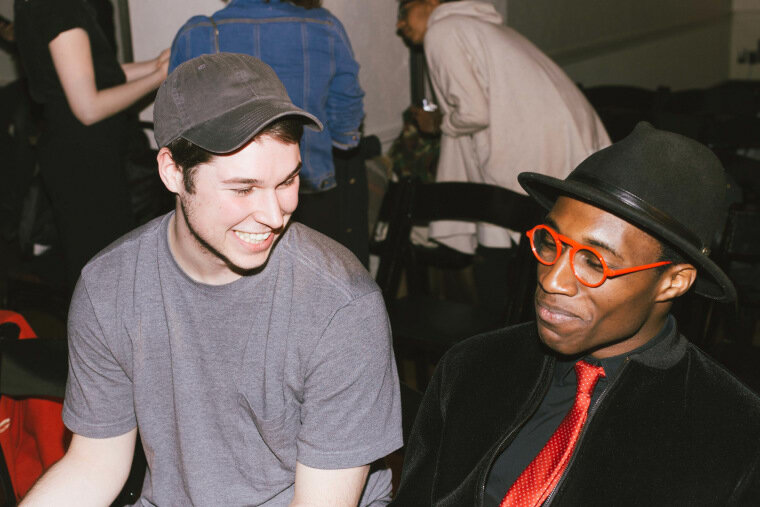 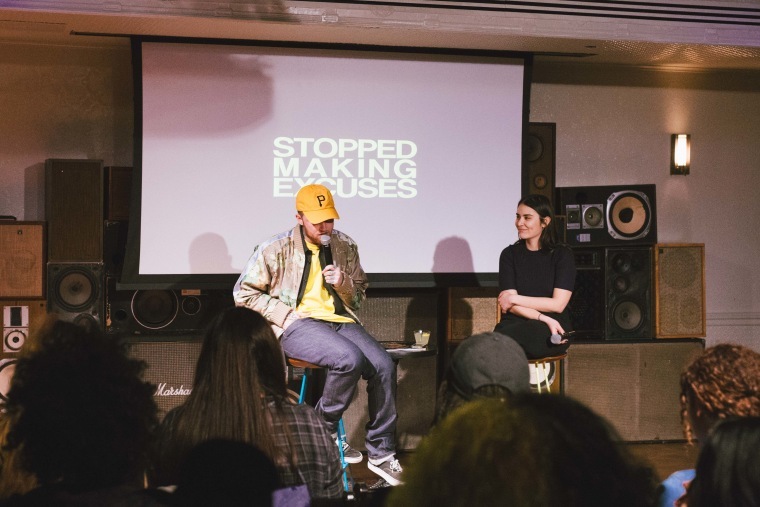 See photos from the party we threw for Stopped Making Excuses at Liberty Hall, featuring a Q&A with the rapper himself. 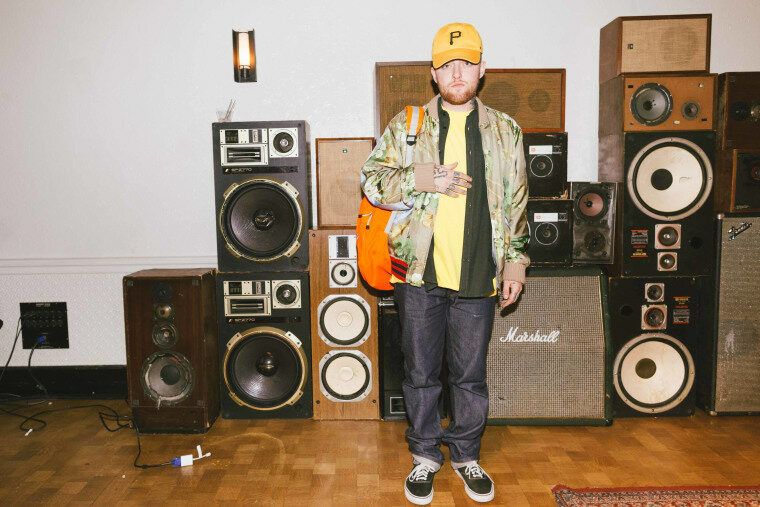 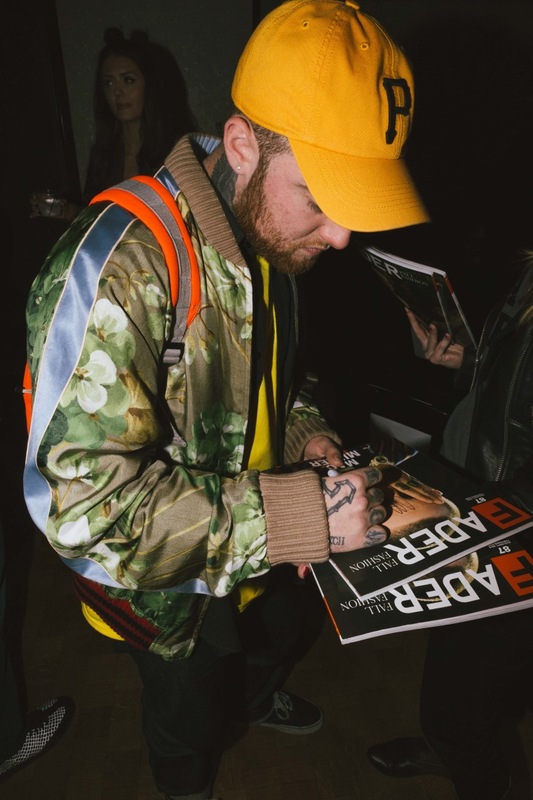 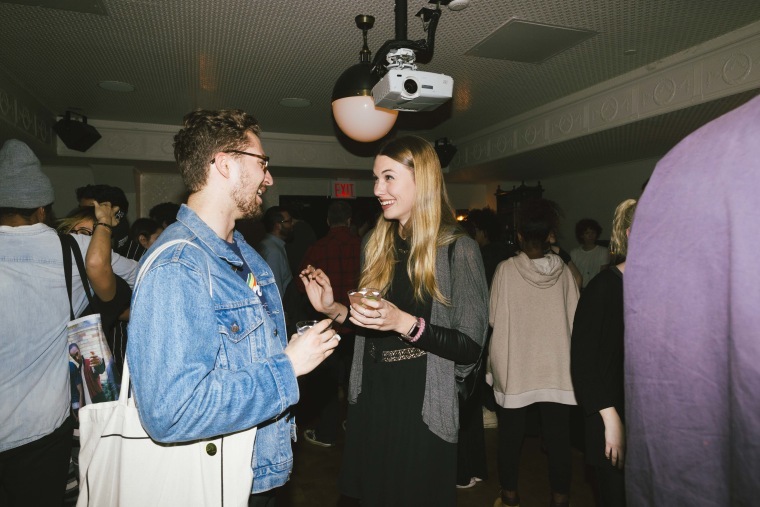 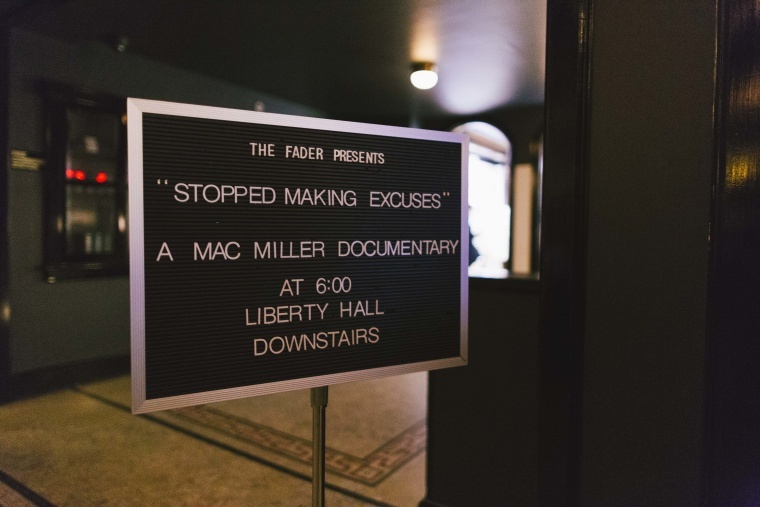 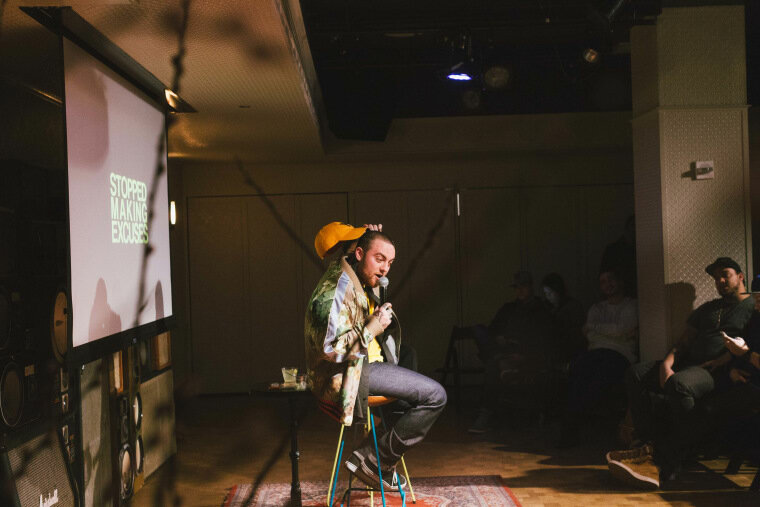 In the cozy yet chic Liberty Hall at Ace Hotel last night, The FADER threw a little party to celebrate the release of Stopped Making Excuses, our brand new FADER Documentary about GO:OD AM rapper Mac Miller. 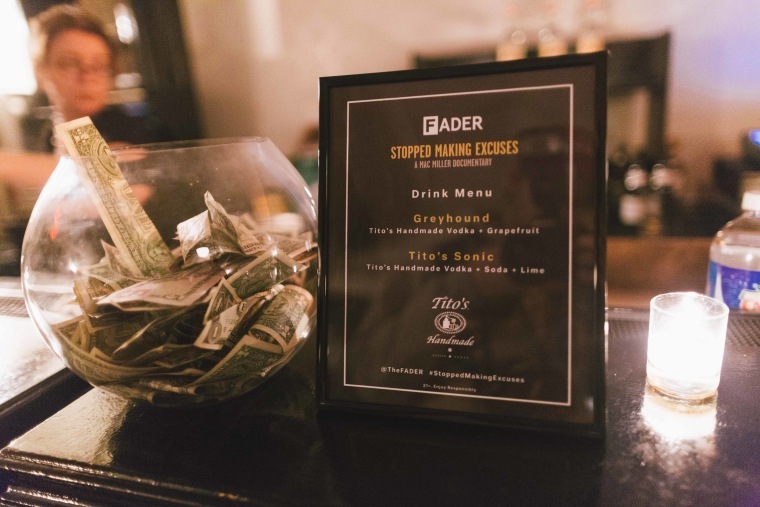 FADER staffers, friends, producers, and a few lucky fans posted up with drinks in hand, courtesy of Tito's Handmade Vodka, to see the film for the very first time. 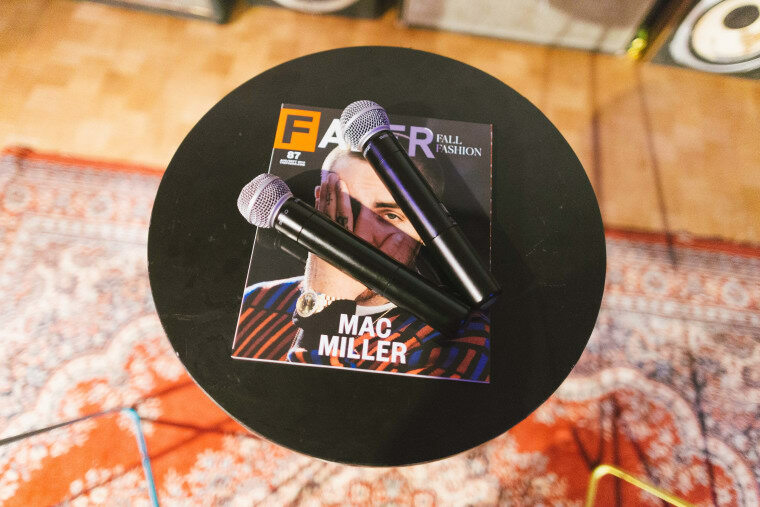 After the screening, FADER's editor-in-chief Naomi Zeichner asked Miller some questions about the making of the doc, and we all raised a toast. 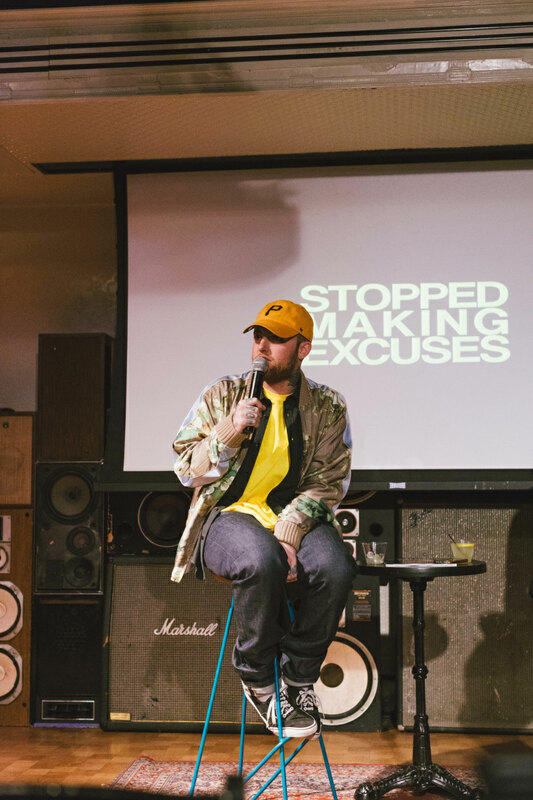 Watch Stopped Making Excuses, A FADER Documentary About Mac Miller.